Elephant Cave: The Witness of Hinduism and Buddhism Harmony in Bali | What an Amazing World! 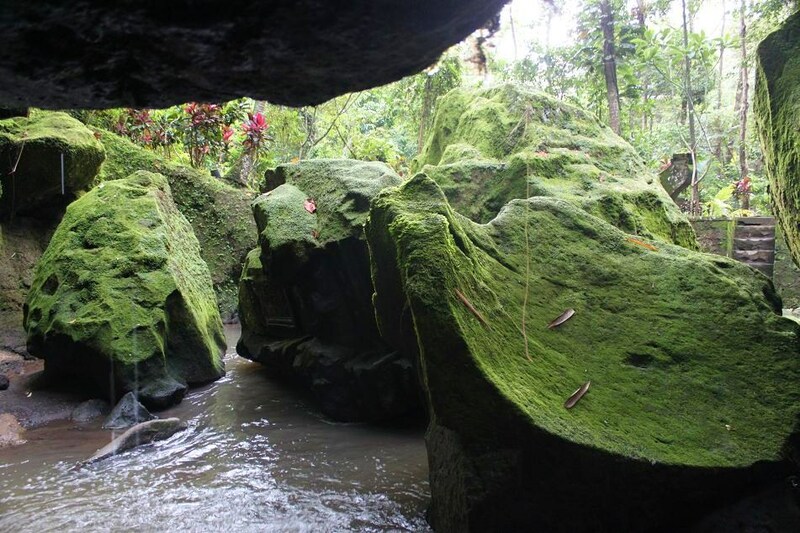 Perched on a cliff just a few meters away from the main road which connects Ubud and Tampaksiring regions in Bali, a small yet bizzare cave attracts curious visitors from all over the world. 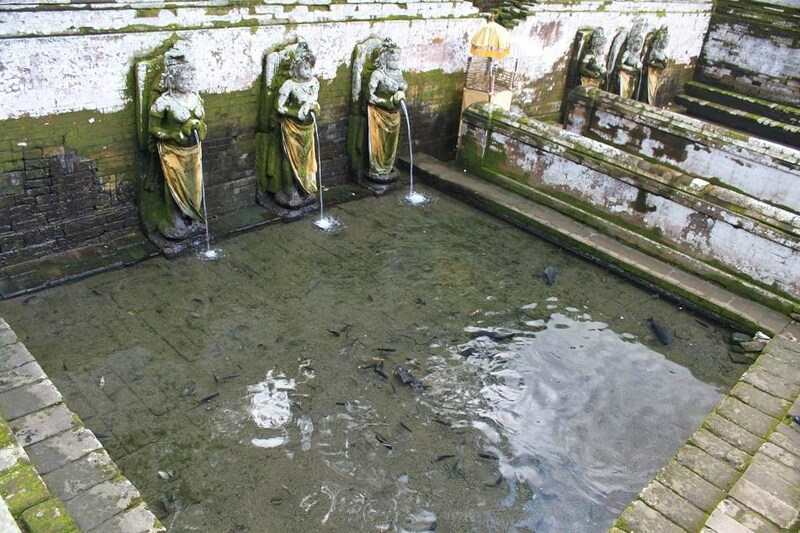 But first, they must walk through a courtyard with small statues around and a bathing pool in the center of it. 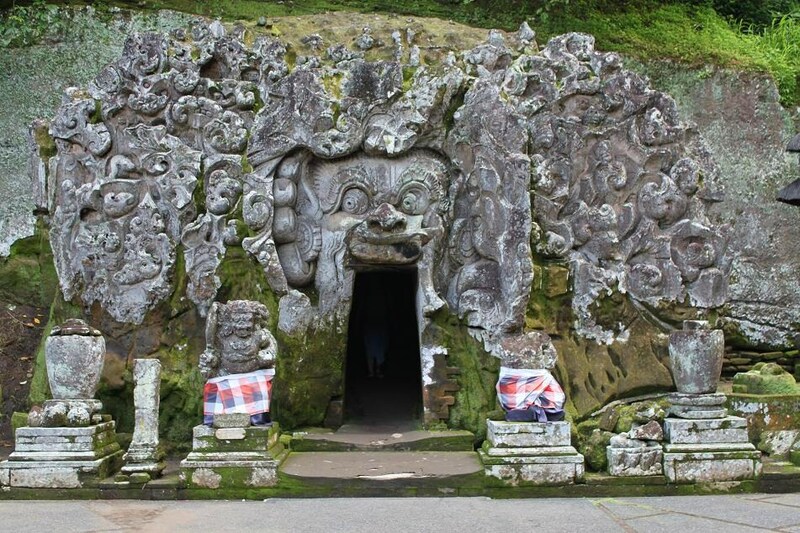 Before people can completely absorb the atmosphere of this place, a huge demon-like carving catches everyone’s attention for its grotesque appearance. 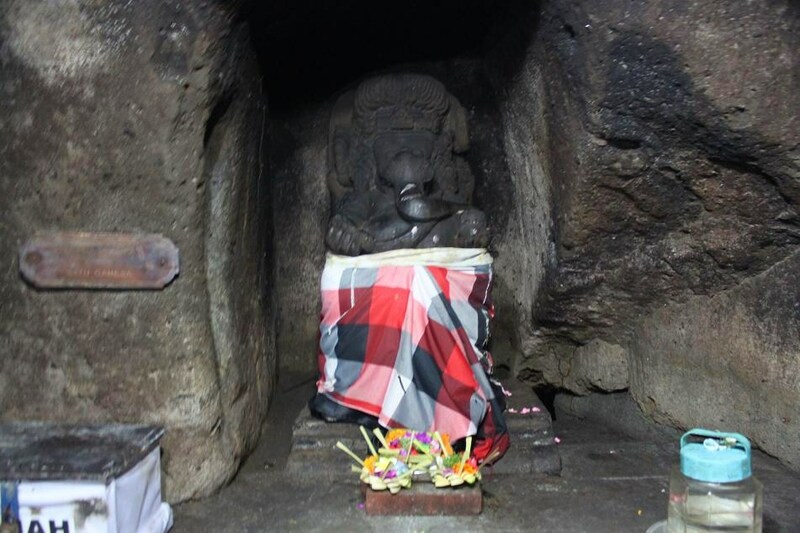 This is the Elephant Cave, owing its name probably from a small statue of Ganesh/Ganesha (a Hindu god with the body of a human but the head of an elephant) inside the cave. The cave itself is a very small T-shaped cave which is also filled with lingga and yoni (Hindu symbols of fertility, male and female respectively). You won’t get too excited for the cave I must say. But if you take a stroll further downhill, you will find a creek where some large stones are located. However they are no ordinary stones because they used to be part of a Buddhist structure up in the hill (or presumably so). Yes, you heard it right, a Buddhist structure in a predominantly Hindu society of Bali. I haven’t made any proper research regarding to this. But probably it is a remnant of pre-Majapahit period in Bali (Majapahit is a Hindu kingdom which is also the largest kingdom ever recorded in Indonesian history with an area covering what is now modern-day Indonesia, Malaysia and Southern Philippines). I am always excited to find two or more different cultures or religions living side by side (even just remnants of them) just like what I saw in Jogjakarta back in January 2011. History does teach us lessons, only if we open our mind and heart. 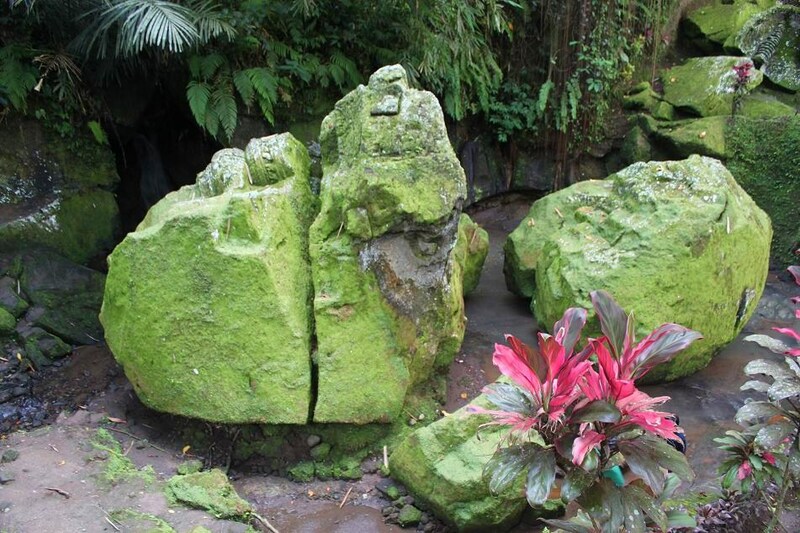 I love that last picture of the moss-covered stones – there’s something about it that just says “Southeast Asia”. Thanks for sharing these latest posts on Bali; so often we only hear about the beaches and rice terraces and not much else. Did you manage a trip to Mt Agung? Hi James! Unfortunately I didn’t. However, I happen to have a friend who have climbed it. From his pictures I can tell that it is indeed worth climbing. I hope one day when I go back to Bali, I’ll get a chance to go to Mt.Agung. ahh….Bali one of these days for me. Thanks for sharing! Thanks for the link! I’m glad I could give you a little more information about the Elephant Cave. Have a great travel in Indonesia!